Toptal supports developer communities all over the world, including Ruby Meditation in Kiev, Ukraine. Their next event will take place on November 19th, so if you happen to be in the area that day, make sure to drop by and say hello. It will be a great opportunity to meet fellow Toptalers and Rubyists. If you’re not yet familiar with Toptal, this is the perfect place to find out more about it. 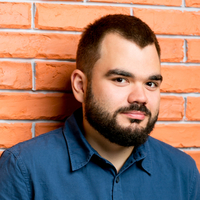 “RubyGems and Native Extensions” with Stas Volovyk. The event will take place at DataHub coworking. If you have any questions, please contact Alexander Rozumii. Your message to Alexander was sent.